When you have a profile assigned to 1 or 2 users with different extra permission compare to other profile, it is a good chance to merge the profile and create a permission set for that 1 or 2 users. 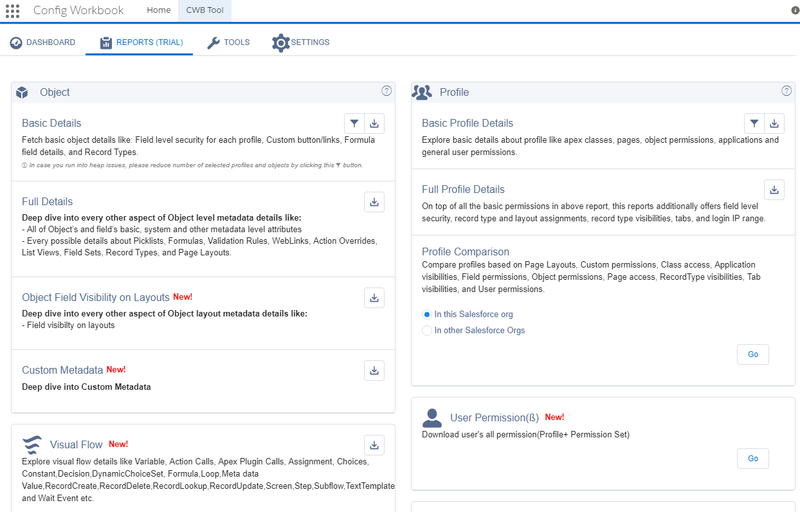 Profile and Permission Set Helper from Salesforce Labs help admin to easily convert existing Profiles permissions in your org to Permission Sets. 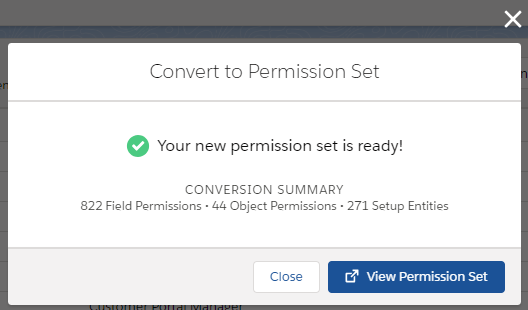 Within a few clicks, you can clone all Permissions from a certain Profile to Permission Sets, which are ready to be assigned to new users in no time! Once the app installed, select Profile and Permission Set Helper app, there will be only 1 tab called Converter, then select the profile that you want to convert into Permission Set. Notes: this app is only work in Lightning. 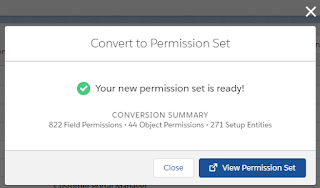 The conversion process is very fast, only a few seconds, and it will create a new Permission Set as you named it. The existing profile will still be there and not touch. Now, you can assign the permission set as per normal to users, and delete the profile when required. You probably heard about Field Trip, one of the most famous free app available in AppExchange, this tool able to analyze fields population, this is very useful when you are doing field clean-up or to get data completeness. However, Field Trip has not updated since Jun 2015. Field Footprint is kind of similar to Field Trip, but with additional features, such as checking record type, field usage in Validation rules, Workflow rules, Workflow Field Updates, and Reports. On top of that, one thing I notice from this tool compare to Field Trip, when running a Field Trip to analyze an object with 134K of data, Field Trip required 75 minutes, while running Field Footprint analyze to the same of dataset, Field Footprint only need 25 minutes, so the performance is 3x better. Once complete, you will see the result in the Footprint Detail page, or open Footprint results in a report. With this tool, you also can check fields usage per record type, click the record type name in the main analysis page, it will tell you how many records for that record type and the population for each field. EasyDescribe is a free tool to view and extract "object" metadata details. Don't waste time clicking through multiple screens to lookup record types, field types, picklists, and other metadata. EasyDescribe it and get everything at once! Once the app installed, select EasyDescribe tab and select an object you would like to extract. You can turn on or off items you would like to extract, from fields, child relationship, and record type. 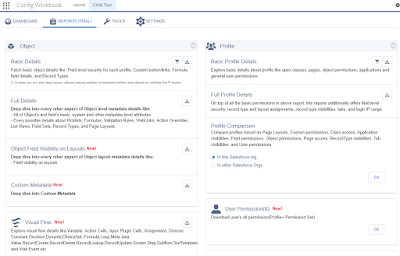 If you need more than just export Salesforce fields to Excel, such as Field Level Security, Page Layout, Profile, Flow, Field usage and many many more features that help admin life easier - Config Workbook by ConfigWorkbook would be your choice. 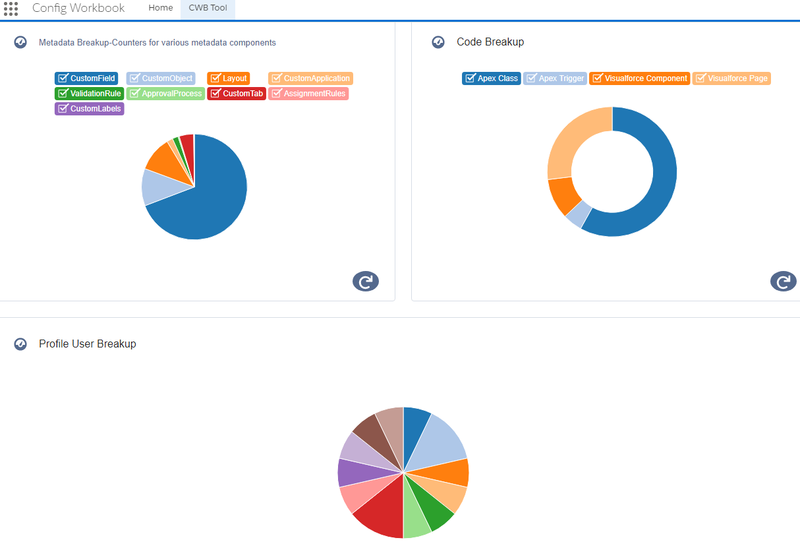 Once installed, you will be presented with a dashboard showing metadata breakup, code breakup, user login, and much more at a glance. Then, you will also find a bunch of metadata reports defined, from object, profile, flow, user, permission set, layout and so on. 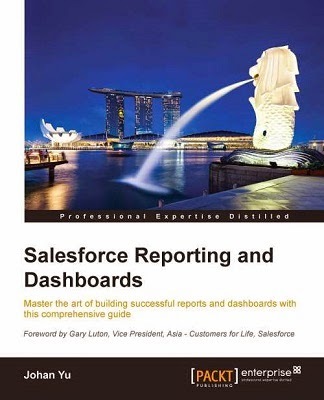 You can try this tool for free for up to 8 reports, get it from AppExchange. 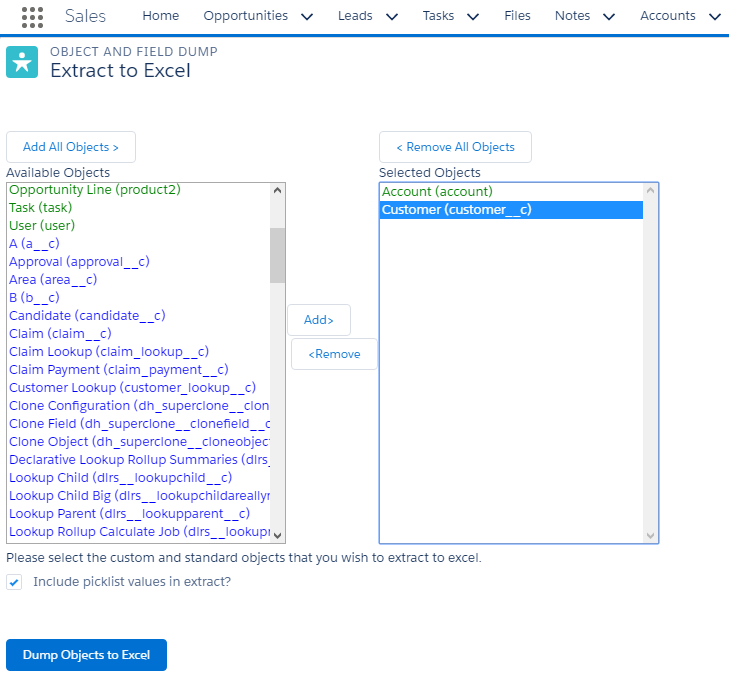 With Field Dumper, a free tool available in AppExchange, admin can easily export Salesforce Data Model to Excel. Produce an Excel document that lists out your data model - showing field level information for your Salesforce objects. Supports extract of multiple custom and standard objects to one workbook. 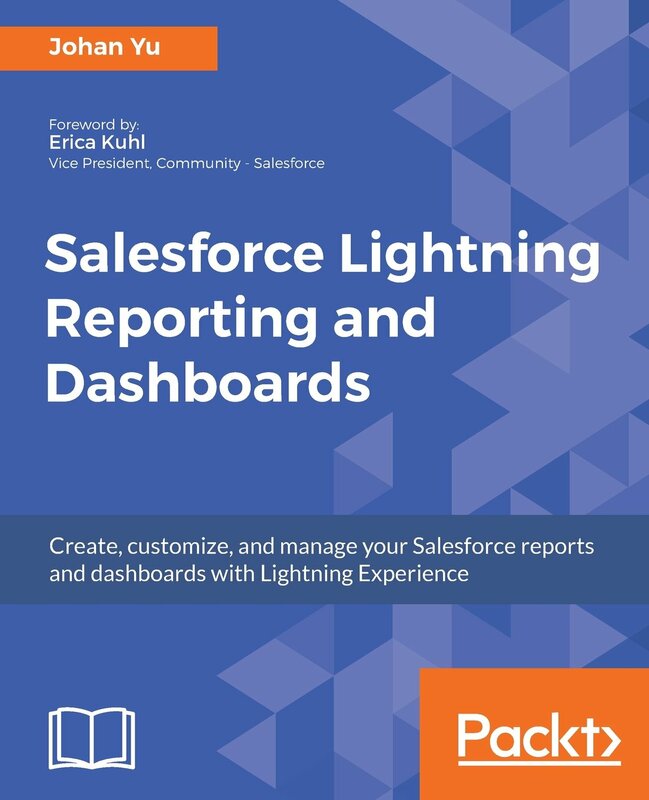 This tool works for both Classic and Lightning Experience UI.